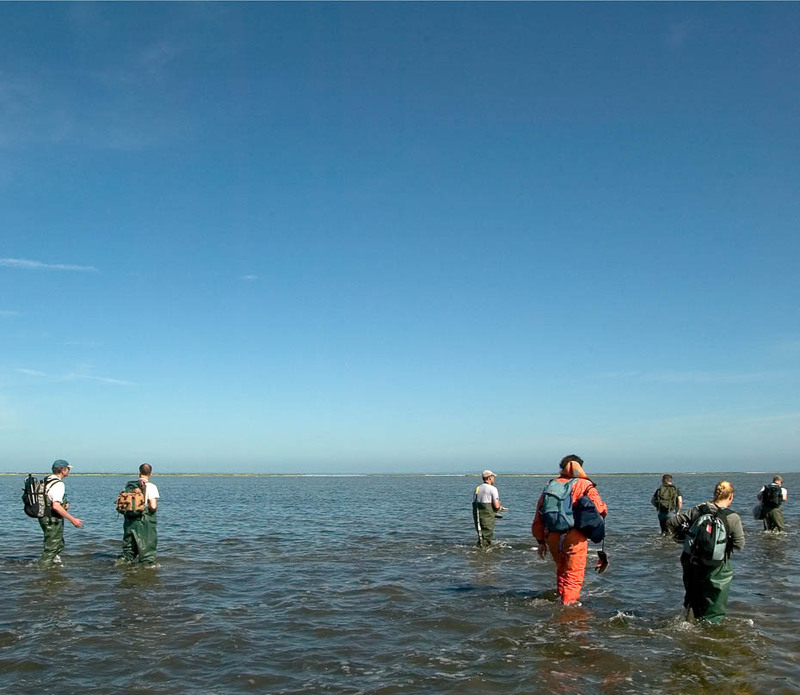 Its a 500 meter walk in water to the knees. 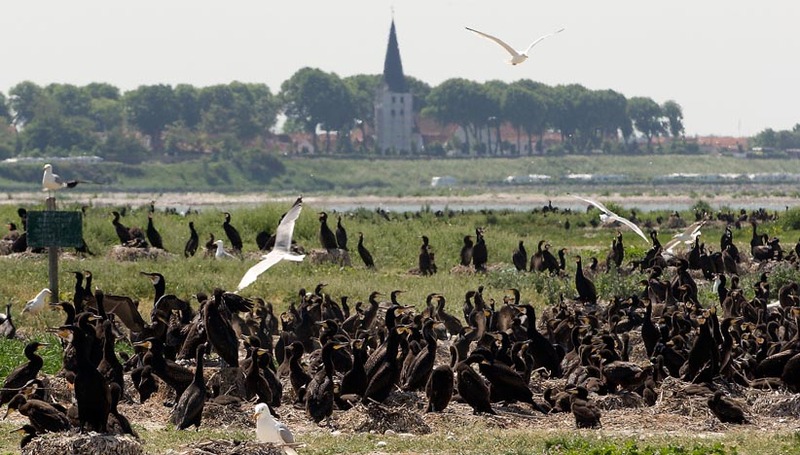 Scientists from Denmark's National Environ-mental Research Institute, passes the low waters north of Fuenen, in the early morning of Thursday June 15. 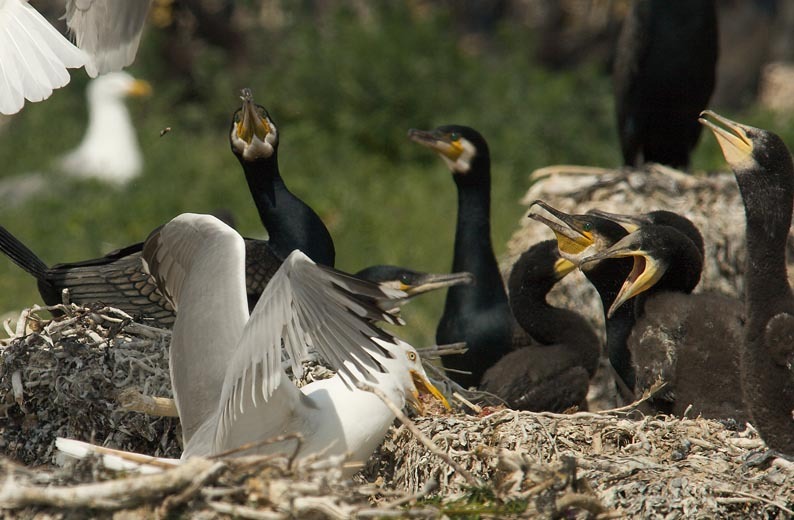 2006 to reach the small islands of Mågeøerne, visiting the Cormorants of one of the country's larger colonies. 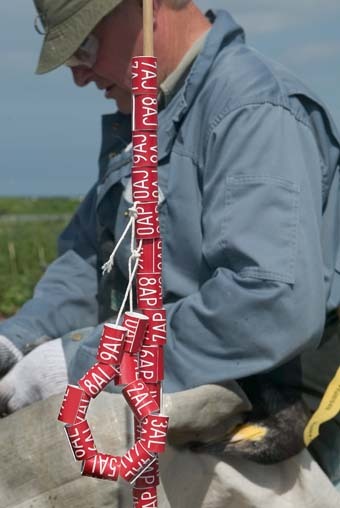 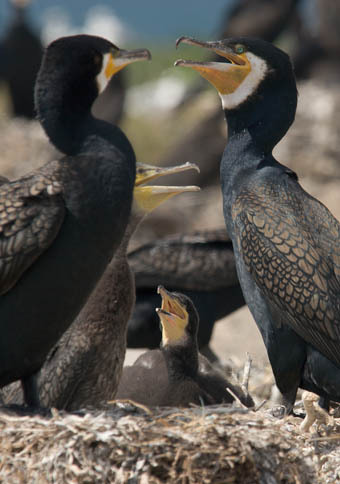 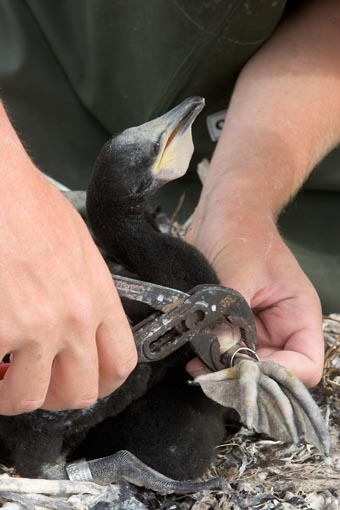 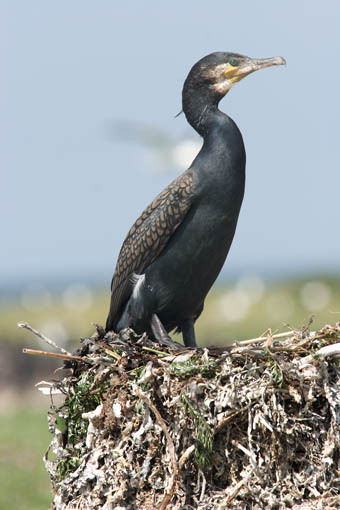 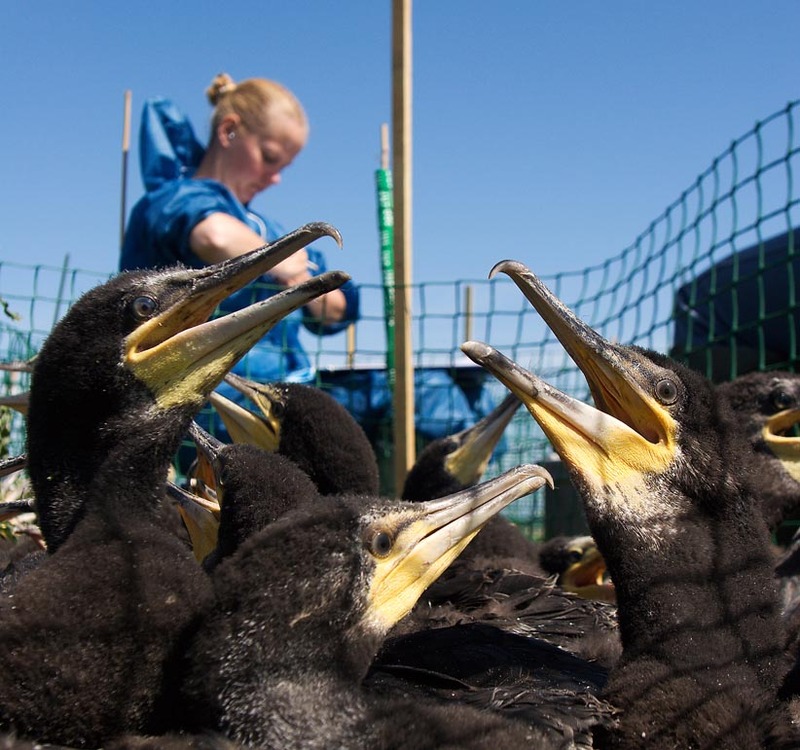 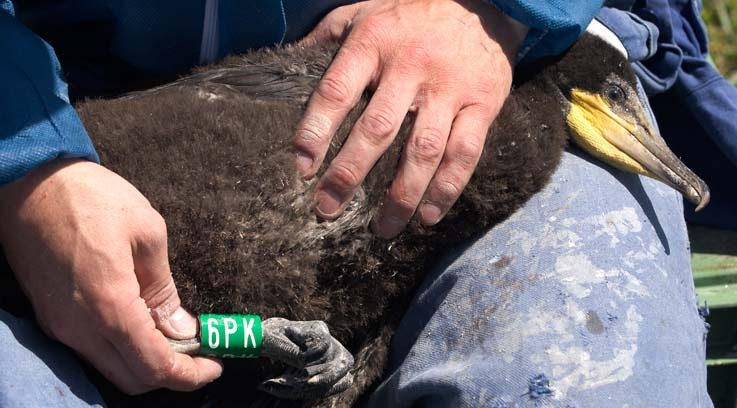 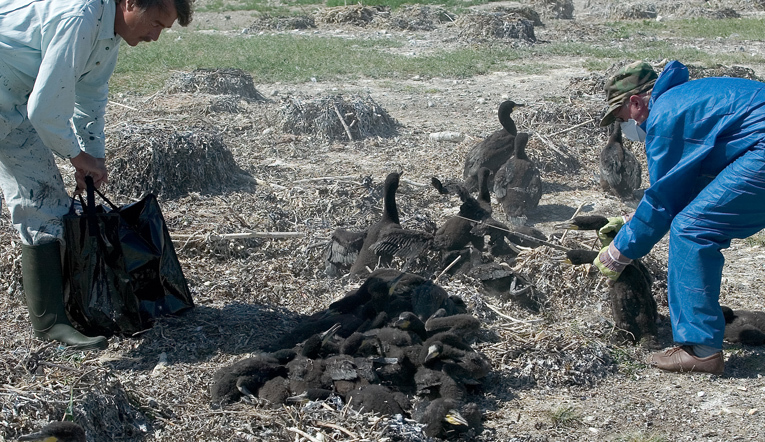 A days health-checking, counting, weighing and the ringing of a new generation of Phalacrocorax carbo. 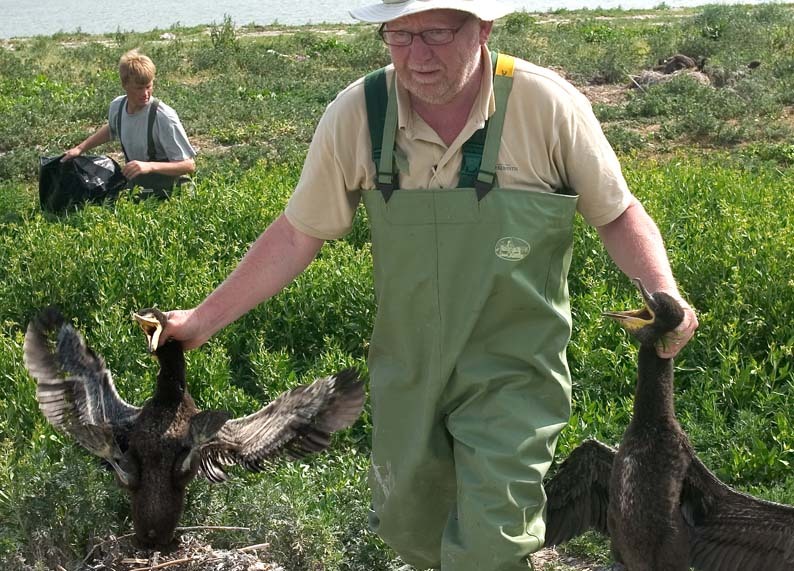 This spring it's carried out after a winter with strikes of the feared HFN1 bird-flu.